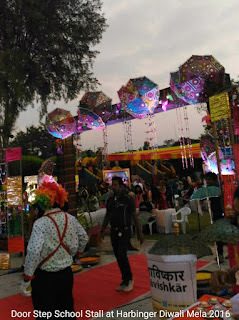 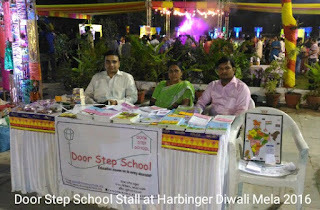 It's festival season and several corpoates supporting Door Step School are organizing Diwali Mela (Fair) across Pune city. 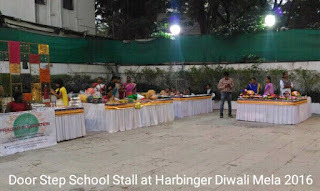 These are opportunities for the corporates to introduce NGOs they are supporting, to their employees. 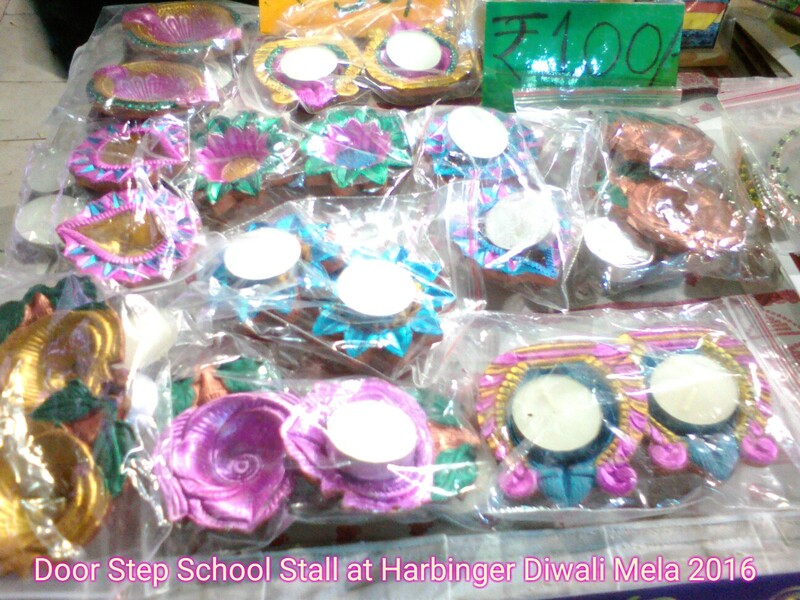 We are being invited to put up stalls at the Diwali Melas organized inside the corporate campus or at other locations around. 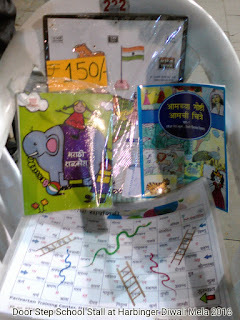 Various gift articles and books are on display at the Door Step School stall. 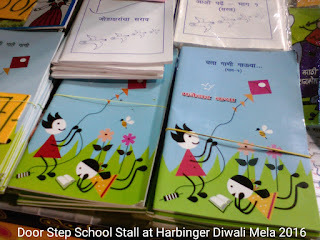 There are greeting cards, pen stands, and tea coasters with drawings of children printed on them. There are beautifully painted Panati (Diyas) for sale. 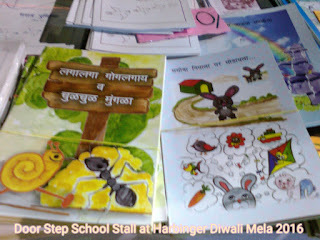 But the best item on our stall is books published by Door Step School. These include workbooks and storybooks used for reading skill improvement programmes at government schools and educational activity centers on construction sites and slums across the city. The visitors to our stall get to know about the methods used to teach children from marginalized and migrant communities. 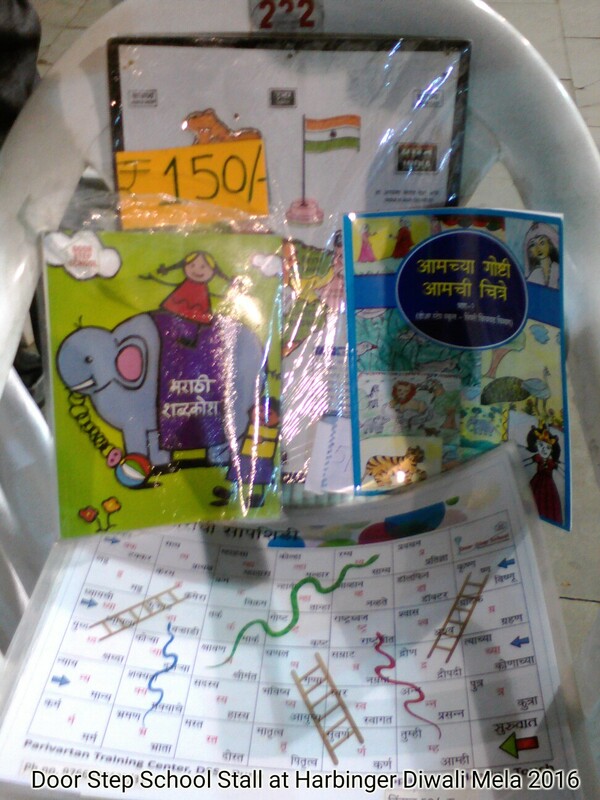 The kids among visitors are attracted to teaching aids and word games specially designed by Door Step School. Overall, it is an opportunity to showcase our work and publications to new people. Through each such event, we gain more supporters for our work. We thank our corporate partners for giving us this opportunity!